Within a couple of weeks of each other I managed to witness performances for the first time by artists who have been established for many years, with a reputation to match. I became seriously involved with music coverage back in 1998 although music has always interested me since my early teen years. But it has meant that I have never seen many classic and respected acts perform live. Names that spring to mind are Queen, Bowie, Cash, and numerous others. Sadly, it is too late to see many of them…So I’m in what could be called ‘catch-up’ phase when I grab any chance I get to witness such acts. Where rock bands are concerned, Bush is a prime example. Bush are a British rock band formed in London, England in 1992. 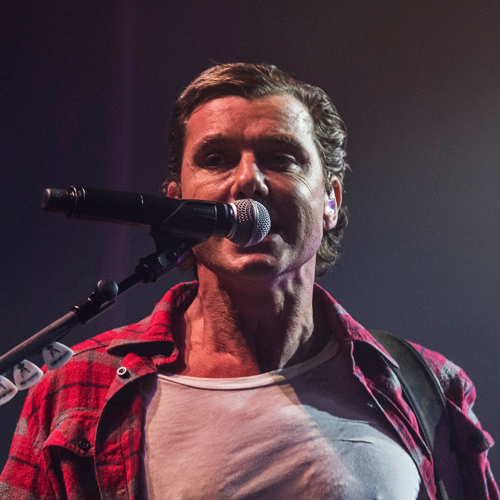 Their current line-up includes lead vocalist and rhythm guitarist Gavin Rossdale, lead guitarist Chris Traynor, bassist Corey Britz, and drummer Robin Goodridge. In 1994, Bush found immediate success with the release of their debut album, Sixteen Stone, which is certified 6× multi-platinum by the RIAA. They went on to become one of the most commercially successful rock bands of the 1990s, selling over 10 million records in the United States. Despite their success in the United States, the band were less well known in their home country and enjoyed only marginal success there. Bush have had numerous top ten singles on the Billboard rock charts and one No. 1 album with Razorblade Suitcase in 1996. The band broke up in 2002 but reformed in 2010, and have released three albums since then: The Sea of Memories (2011), Man on the Run (2014), and Black and White Rainbows (2017). Bush chose the excellent Ritz, Manchester venue to peddle their wares tonight supported by a band called RavenEye. 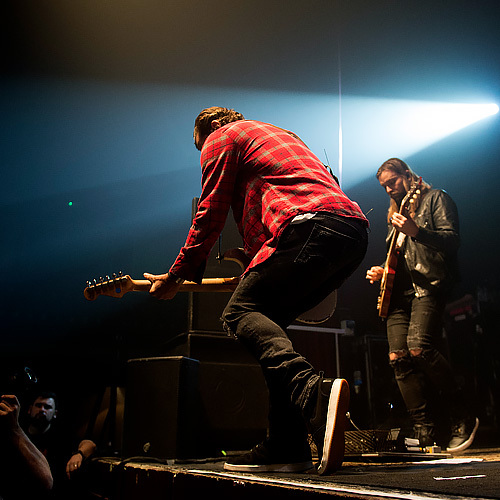 The support band was formed by Blues guitarist Oli Brown in Milton Keynes in 2014 along with Australian bassist Aaron Spiers and drummer Kev Hickman. The band quickly established themselves and on a two-month European tour supported Joe Satriani during the summer of 2014. In 2015 RavenEye released their first single, ‘Breaking Out’ which received over 100,000 plays on Soundcloud in less than a month. It was also one of Classic Rock’s tracks of the week. Following more major support slots across Europe and the release of their first E.P. in 2015 Adam Breeze became the new drummer and in September 2016 the band released its first full-length album (NOVA). Before tonight’s show the band supported Aerosmith on the Lisbon date of the European tour. All too often, I’m disappointed by inferior support acts but not tonight. RavenEye’s blues-based heavy rock was brilliant and immediately drew massive acclaim from the large audience. 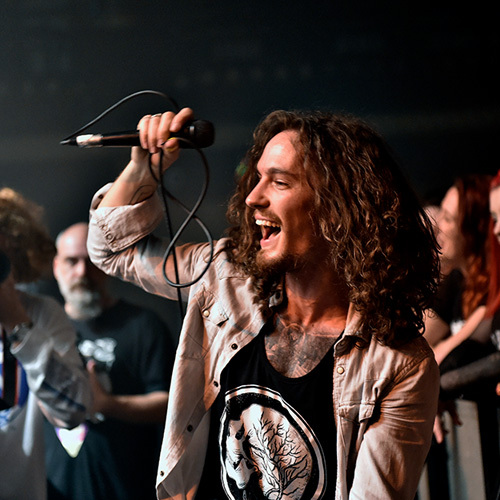 Oli Brown proved to be the close-to-ideal frontman with a powerful voice, great guitar skills and an athletic display the like of which I have rarely seen. At a couple of points during the short set he ended up standing on top of his bassist before diving back onto the stage!! Instrumentally the band was as competent as they come but without songs even the most skilled and dynamic can fail. Not so with RavenEye. 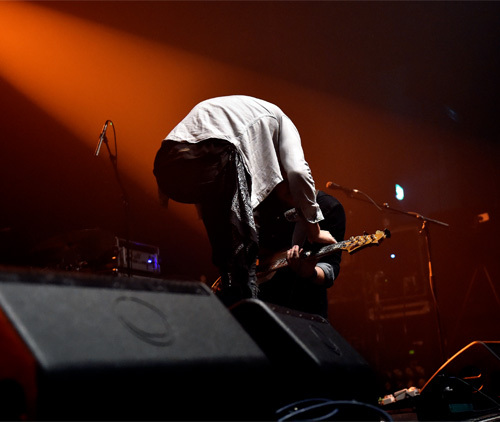 The setlist of seven songs was great and proved that this band’s song-writing was more than a match for its musical prowess. Bush couldn’t have wished for a more entertaining warm-up act and the crowd bid the band a gargantuan farewell in genuine appreciation. Come With Me, Hate, Nobodies Soul, Breaking Out, Hero, Hey Hey Yeah, You Got It.